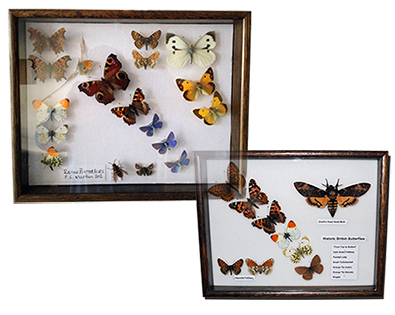 All photos below are in alphabetical order using the names of each butterfly (A-Z), there are 58 specimens in total to choose from and together they make up the full British Butterfly Collection. All the names are found below the slideshow. I suggest you just click "play" watch the full slideshow and write down all the names of the ones you would like to buy. As many of the species vary in price, please contact me with your selection and I will give you a quote and pictures for your approval before purchasing. 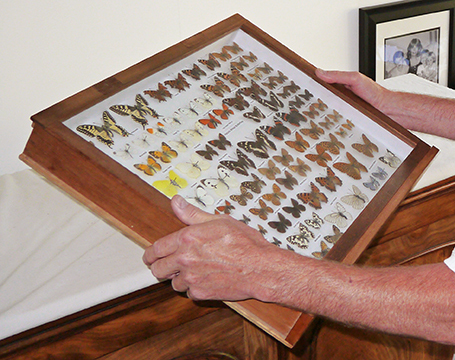 For reference each of the 58 species (butterfly names) are listed below, a name label is shown under each butterfly.